BRUSSELS/ZURICH (Reuters) - Siemens and Alstom's plan to create a European rail champion collapsed on Wednesday after EU regulators rejected the deal, prompting Germany and France to call for an overhaul of EU competition policy to better meet global challenges. The European Commission also blocked a bid by German copper company Wieland-Werke AG to buy a business unit from Aurubis, Europe's biggest copper smelter, similarly arguing the deal could have pushed up prices for consumers. Shortly after the Commission's announcements, German economy minister Peter Altmaier said Berlin and Paris were working on a proposal to change European competition rules. Alstom said the veto was a clear set-back for industry in Europe, while Siemens Chief Executive Joe Kaeser said Europe urgently needed to reform its industrial policy to help its companies compete. Proponents of the bloc's strict merger regime, however, argue such changes could lead to opaque and unpredictable rules. 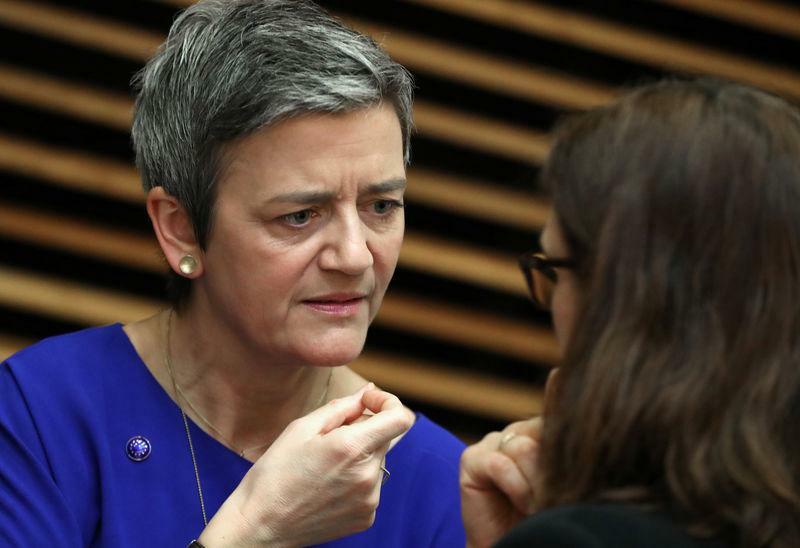 EU Competition Commissioner Margrethe Vestager said the Commission had approved over 3,000 mergers in the past 10 years and blocked only nine, including those on Wednesday. "Prohibition decisions, they are rare and it is the first time (we have announced...) two prohibition decisions on the same day," she told a news conference, adding most mergers either did not pose a problem or the companies involved offered sufficient remedies. Shares in Siemens and Alstom were little changed by the announcement, which was widely expected. Siemens and Alstom had wanted to combine their rail operations to compete more effectively with China's state-owned CRRC Corp Ltd, a move backed by the French and German governments, which favour creating industrial champions. Siemens makes the ICE trains for Deutsche Bahn and also builds units for Channel Tunnel operator Eurostar. Alstom is the manufacturer of France's signature bullet train, locally known as the TGV. The rolling-stock maker also sells urban and suburban trains as well as signalling systems.